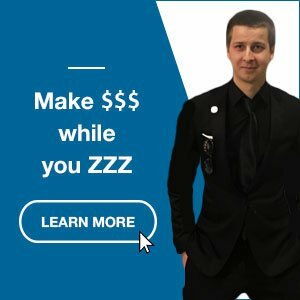 Seeking for ways to make money online? Hello, I’m Tanguy Hubner (known online as “Incognito007“). I started my adventure online around 2010 while I was still attending a marketing degree at the university. It took me around three years, through trials and errors, to set up a winning strategy and deal with the “internet jungle”. If you wish to skip struggle (and scams) along the process, my hand-picked list may help you. You will find below the “money-making” methods that have actually worked for me. Ps. Before digging into the best methods to make money online I know and trust, read this important disclosure. The “paid to click” websites, shortened as “PTC“, are online business models that act as middlemen between advertisers and people aiming to earn money from home. A part of the amount the advertisers pay for displaying ads goes to the viewer when he clicks the advertisement. Those companies allow you to use a “referral link” to invite people as your “direct referral“. This is a great way to increase your earning as you will receive a commission on their activities (e.g. click, task completion or recruitment efforts) and/or purchases. It seems to be a great site and I am really excited to join this site. I am very hopeful about help I want to have to run my PTC business successfully! Did you start a Paid To Click business as “administrator”, or you are trying to build your portfolio and earn an income as a “member”? If you have specific ask, feel free to post them. All topics are open for discussion and opinions (positives or negatives). I am interested in your banner advertising but I only want to advertise my 125×125 banner at this time and not the standard 468×60. Do you have anything for me? Thanks!!! Sorry, the network we are using consist in 15+ Paid-To-Clicks which accept only gif, jpg and png with a 468×60 pixels format. Same goes for our top 10 on cost per click basis. you may consider building a custom banner design by yourself or get a freelancer to do it for you (e.g. on fiverr or through my design service). Thanks for the quick reply! I am already advertising my standard banners at most of these sites but I am testing the button banners and was just looking for sources of advertising. I have a few sources but i am always looking for more. When I am ready, I will scrub advertising at these sites one at a time and try your service. I have to admit your prices are extremely low but it’s worth a try. I won’t go broke with a $25 sampler. but if you need to tap into that audience, the deals are great (it’s usual 2 to 5x more expensive through official stores). I buy in bulk high volume and this allowed me negotiate long term discounts with those website’s administrators. For the custom design, you can have a look on the portofolio to see if you like. It’s always a competitive advantage to get something unique – it catches people attention and build your branding over time. you will find all the services I’m currently offering. You can place an order through Paypal, Payza, Bitcoin or even bank processors (Mollie). you may like to browse Andy’s recommendation about such advertising strategy. In all above mentioned method to earn money online, which one you will suggest most if you have to choose one. It depends on your goals, if you are seeking for instant gratification, you can join a few of those money-making opportunities. but once it happens, you will enjoy it for the years to come. If you feel confused about how to get started or struggle with something, I suggest you start with those 10 FREE lessons. That will give you a good overview about the opportunity and how to get started properly. Feel free to contact me anytime if you feel stuck with something. You can browse the content on the blog and find the websites I am using and resources I recommend. is click track profit is all about traffic browser? NOtice :- all recommendation are profitable. I’m not using it a lot, tbh. But it’s a gamification place. If you are active on Traffic Exchanges, you can redeem some bonuses from ClickTrackProfit. Also, if people are following the training, from clicktrackprofit, they will be prompted to join the different Traffic Exchanges under you (assuming you did set up your profile correctly). So you can build a team easily. or for people able to build a team and so generate free advertising credits through their commissions. Hey tan , i am interested in that Method 3 , can you suggest me any good site , where peer to peer loan can be given ? As quoted above, I’m currently testing BitBond. The website seem to be really safe, and they are approved by BaFin (the german financial regulator). There is some setup to go through to get started, such as a video call for ID verification, but otherwise, it’s really easy. so make sure you spread your investments and diversify among several loaners. But I will need to wait for December, to have an idea about how much people default and fail to pay (or just delay). Accordingly, to their website statistics, they quote a 13% on average. And recommend to not spend more than 4% (of what you plan to spend over a whole year) on a single loan. Thanks for the feedback! :) Let me know if you need help. This is a place where you can lend money (in bitcoin) to some people having projects. The loans are for 6 weeks, 6 months or 12 months (or even 36-60 months) – and you will earn interest when they pay back (usually around 15-35% yearly). The site itself is safe, accepted, and regulated by BaFin (german financial regulator). But you need to deal with a risk related to your investment. It’s recommended to spread your portofolio through numerous projects. A good practice would be to never put more than 4% of your yearly budget into a single loan. The reason is that some of the people asking for a loan, may try to cheat/default… even though BitBond is doing reminder and ultimately legal action against those, you may loose (or delay for months/years) that money. By spreading your money across numerous projects, you have more luck to meet results close to the website average. They quote 13% as being the average. STEP 1: Register a Bitbond account. STEP 2: go to “Settings” and fill in your details. STEP 3: get your ID and details ready, and proceed to the video call to get verified. See how to do this, on this tutorial. STEP 4: go to “Funds” and deposit the amount you wish to the bitcoin address mentioned there. 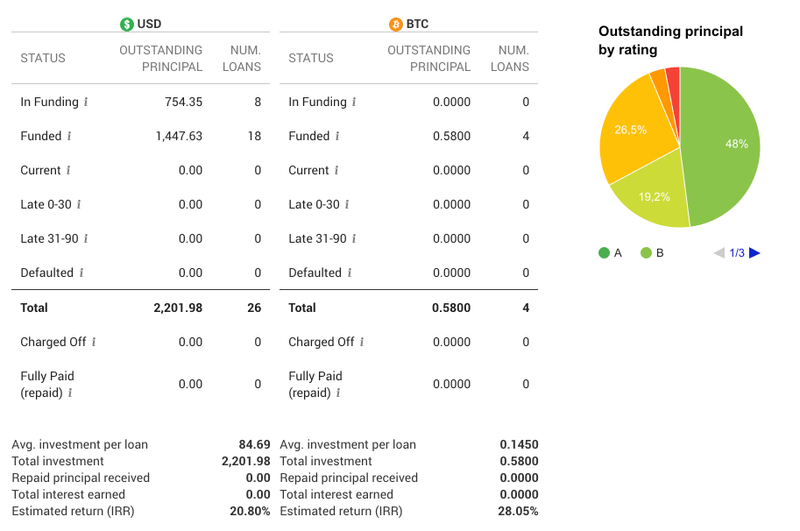 STEP 5: browse and analyze the projects in the “Invest in loans” tab. You will see all details concerning the expected interest, the duration of the loan, the risk rating, whether it’s a new borrower or not, and more. Click “Invest”, slide to (or type) the value you wish to invest and hit “Confirm”. Hello Tanguy, I may need your assistance in how to make withdrawal from mpca, since it’s yesterday, over 12hrs since I requested for one. I was just testing their withdrawal activity program and this happens sent a support to them too. I just need to be sure I haven’t done something wrong. As far as I know MyPayingCryptoAds withdrawals are processed in 24-72 hours. Concerning the support, I never tested it. So I can’t tell you how fast they reply. This said, I know that their MyPayingCryptoAds Facebook group is quite active. There are a lot of testimonial about my services. For example, Maurice who explains how to get direct referral online, or Andy who share the strategy he used to refer over 2000 direct referrals in a few months. If you have an offer to promote, that could be a good fit for a Paid-To-Click audience; you can perform a test with a small banner advertising package. By watching the results, you will be able to scale up and optimize things where it’s required. Keep in mind that on large volume, branding yourself with a few Custom Designs should help you big time and boost your conversion rate. Have a great weekend, and let me know if you need more assistance. To be honest, I’m just getting started and I still need to create a review about it and scale it up. I will update you when it’s ready. And you, are you a member at etoro? :) If yes, and you have tips, feel free to share. Are my chances of getting referrals at clixsense or neobux poor, relative to other smaller ptc sites? And how do I increase my chances of getting referrals with your program? Is it better to purchase pro instead of starter? I have got some DR but just a few of them are clicking. Neobux and Clixsense are definitely the two paid-to-click which are the most competitive and the hardest to promote. To increase your conversions, you will usually try to stand out from the crowd with a custom design. As for activity, the best would be to collect emails and follow up with the referrals and help them getting started and/or understanding the opportunity. A good example of someone doing great with Neobux, and who is a recurring customer here is “Jacknz“. All the best, and Enjoy your weekend. It depends on your goals, expectations and what you want to do. and this is the reason why I recommend WealthyAffiliate to receive some step-by-step guidelines on how to create, setup and monetize your website. B- Revenue shares are fast but risky. If you use those, you better focus on how to use the service (advertising) to boost your other affiliate programs; so you never get upset. C- Paid-To-Click are easy, but your earning will be very limited unless you spend hours on it (doing tasks) or can recruit massively. D- And copytrading (etoro) is powerful, but require a long-term vision and some budget to have a great leverage. Now I am looking for a RevShare site which is your best option in terms of this? You could refer a RevShare site where you can buy adpack of $ 10 minimum and get your best profit !!! The only revenue sharing I’m currently using is FutureAdPro (see above for the link). But it’s already 15 months old or so… and it’s not super fast if you are alone ($10 packs earn at 80% speed of the $50 ones). While the futuro coins and cloud mining idea may help to keep the sales and profits high – there is no guarantee at all. If you seek for long-term earning opportunity I would recommend digging into (copy-)trading (e.g etoro, or with a higher risk/reward the cryptocurrencies). I need help to get some referrals can you help me? I have replied to your email. Keep me updated there.